The School Lunch Program...To Eat or Not To Eat? 1. Kids take foods they have no intention of eating. 2. School officials do not required the children to eat anything before they head out to play. 3. EVEN with their mom sitting right next to them, my kids don't finish what they take unless I make them slow down and eat everything. They want to head out to recess and have as much time to play as possible. Kids really have quite a few choices at school for lunch. While the main course is not always super healthy, they have several vegetable and fruit options to choose from. They also have whole grains and some kind of protein provided. The truth is, they don't have we Nelson's call the 2 bite rule at school. Take at least 2 bites of everything on your tray before you are excused. This equates to millions of dollars being thrown in the garbage at school, tax-payers money wasted, and hungry kids who don't learn to try new things, or make healthy choices when it comes to food. Is a Cold Lunch from Home The Answer? I wanted to know if cold lunch would have better results for my kids. I wanted to give them better nutrition, variety, and yes...wanted them to actually eat what they were served. So I conducted a little experiment. My oldest (who is NOT a picky eater in the least) did the same. After asking him whether he preferred hot or cold lunch, he said he preferred cold lunch because he knew he would like what he got, but he quickly tired of having sandwiches. I also noticed that I could provide food my kids would actually eat for less then I expected. School lunch can cost anywhere from $0.40 - $3.00 depending on the school and the age of your kids. 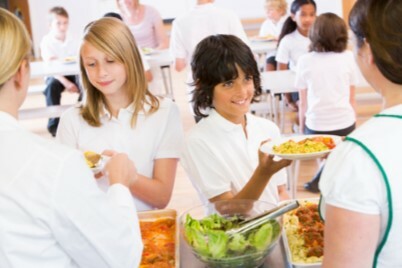 This range is established by the district and the Federal Lunch Program standards. I found that serving my kids lunches made from leftovers, fresh fruits and veggies, and other basic foods, I could send them with a lunch from home for less then a $1.00 per day. Crazy Right???! 1. Educate your kids. Kids learn about nutrition in school. They know what choices are healthy but they may not like the flavor, texture, or color of a food that they know is good for them. Spend some time teaching your kids to "taste test" new foods. My kids cook meals with me on a regular basis. They get to help make meals and almost always eat what they help make. Let them taste foods at different stages of cooking. For example, my youngest doesn't like tomatoes...or so he thought. Turns out, he doesn't like fresh tomatoes. They have too many textures for his young tastebuds. But he actually likes our home-canned tomatoes when they are seasoned with spices for marinara, pizza, or spaghetti sauce. 2. Plan Lunches with Your Kids. Most of today's kids are visual learners. If you can show them pictures of food options or even have them help you plan your menus for the week by selecting from items in your frig, they are more likely to eat what they are packed for lunch. We use this menu planner each week. Each of my kids selects a meal in each category and a snack and then helps make those meals. 3. Use what you have first. Don't spend a fortune on pre-packaged foods for lunches. Use leftovers from dinner and breakfast first. Then select other items to go with those things. This is a sample of a "leftover lunch" I packed for my husband this week. My kids eat similar things but the portions are smaller. It is a leftover breaded and oven baked chicken breast from dinner the night before, baby carrots, home-canned peaches in very light syrup, and Italian Tomato Pasta Salad (also left from dinner). For snacks he has our "nutty popcorn mix" and applesauce. With a lunch like this, I keep my frig clean and my family full without spending anything extra. 4. Make or Purchase the Right Containers. Reusable containers can save you a bundle in the long run, but not all are created equal. Here are some of my favorite reusable containers for lunches and snacks on the go. Snack and Sandwich Bags - These were made in about 10 minutes from scraps of fabric I had leftover from other projects. They are sturdy and easy to clean. I just wash them when I wash kitchen towels and linens. They are great for crackers, popcorn, and other loose snacks and can help you save money on plastic zipper bags. 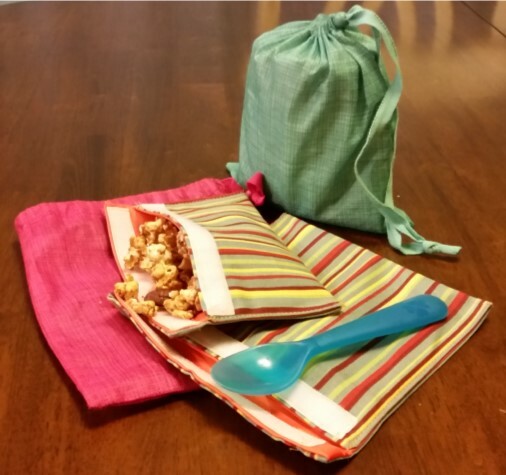 Zipper-Sipper Pouches - These are a really inexpensive way to send homemade applesauce, yogurt, etc. with your kiddos. They don't leak and are fun for the kids to eat out of. They also save on messes and the need for utensils. Silicone Popsicle Molds - These are so easy to fill and use. When we have green smoothies or protein shakes for breakfast, I fill a few of these up with the leftovers so nothing goes to waste. Then I put them in the freezer to send in lunches or to use for snacks after school. They are easily cleaned with a bottle brush and are dishwasher safe. Dip Containers and Silicone Cupcake Wrappers - Both of these items are very inexpensive and very handy. One of my family's favorite lunches is Hummus Dippers. I use the cupcake liners to divide bigger sections of their lunch container to put cherry tomatoes, carrots, broccoli, and cauliflower to dip in our favorite hummus recipe. The dip containers are used for ranch dip, salad dressings, BBQ sauces and the taller tube shaped container I use for syrup when we do "breakfast for lunch." 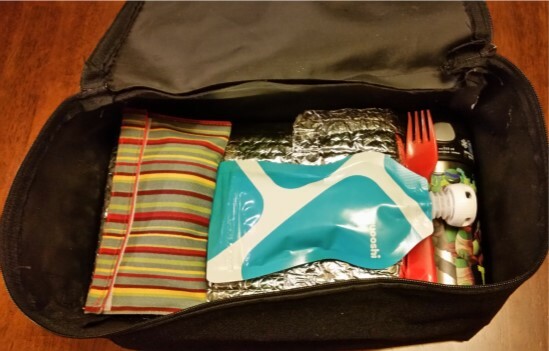 Lunch Container Cozies - A few months ago, Mary Ann taught a class on making your own thermal cooking accessories. You can make your own insulated container for hot or cold items out of thermal tape and bubble wrap in just minutes. Make them any size and shape you like. I made one for soups and one for lunch containers to help keep their contents warm or cold until lunch time. They are a great substitute for the "thermos" if you are trying to keep things on the cheap. I wish you luck as you learn more about getting more out of your grocery bill. If you want more ideas on how to save money and live better with less, check our our Eat Better for Less Class online. Good Luck to you and your family this school year!